This rare private corner terrace apartment at 99 John Deco Lofts is being offered for rent completely furnished, complete with outdoor seating. It boasts high-grade finishes and a full line of high quality appliances. Immediately upon entry you are struck by the abundance of natural light coming through the massive loft windows which encase this tall urban oasis. Experience the luxury of this rare new-construction full-service condo, which boasts high ceilings, south-facing floor to ceiling windows, gorgeous hardwood floors, central air, quality finishes, kitchen loaded with top-end appliances, recessed dimmer lighting, custom built-ins, windowed double-sink bath, walk in closet, in unit washer/dryer and more. Park and River Views enhanced by unparalleled evening sunsets are permanently attached to this spacious urban oasis which boasts immaculate hardwood floors, high ceilings, ample closets, multitude of oversized windows and an updated eat-in kitchen. Designed by one of the finest Manhattan architects, this stunning Loft-like Jumbo 1 bedroom, easily convertible to a two bedroom, boasts high end finishes, custom chef’s kitchen, ample storage, dishwasher, in unit washer dryer and much more! 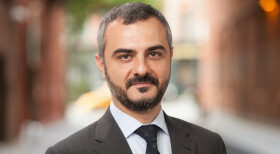 Armen is a polished gem of the New York City Real Estate market. Professional to the extreme, he knows how to get the job done and use creative methods to package assets so that they are ready for sale and get the attention they so appropriately deserve. Very responsive, trustworthy and helpful through a very stressful purchase! Have recommended Armen to other friends, he was a pleasure to work with. Armen identified financing alternatives for the prospective purchasers, and negotiated a good price. He also kept in contact with us throughout the process. I have asked him to work for my family and friends multiple times and their feedback was the same. He’s a great agent and gives trustworthy advice! Armen was a pleasure to work with. He was extremely professional and responsive.